What is the Reflections Program? 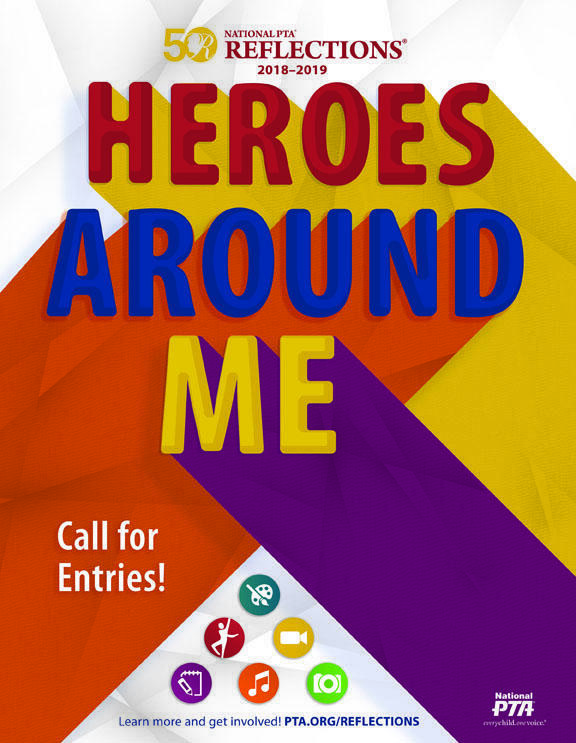 This year's theme is, "Heroes Around Me" Students can choose from six categories to express the theme: Visual Arts, Photography, Literature, Musical Composition, Dance Choreography, and Film Production. Students at RSS compete in three groups: K-2nd grade, 3rd-5th grade, and Special Artist (for all grades). Entries must be the original work of one student only. The Title and Artist Statement are required. Enter in as many categories as you would like. No copyrighted material may be used (except for music in the choreography and film categories). Entries are due on October 26th! Student Packets, including entry forms are attached below.